I am starting to believe in the Ghost month as the fam kept on having one bad luck after another. First my mom gets hospitalized for four days, then Twinkle got sick for a week, followed by peanutbutter♥ having high blood pressure, and now our helper has left us. We badly needed a treat. And when everybody is down — especially me — there’s only one thing that can cheer us up — ICE CREAM! So off we went to Landers Superstore to get a couple of pints of California Ice Cream. There are lots of flavor choices to choose from: Salted Caramel, Molten Chocolate Cake, Dirty Mint Chip, and Salty S’mores. 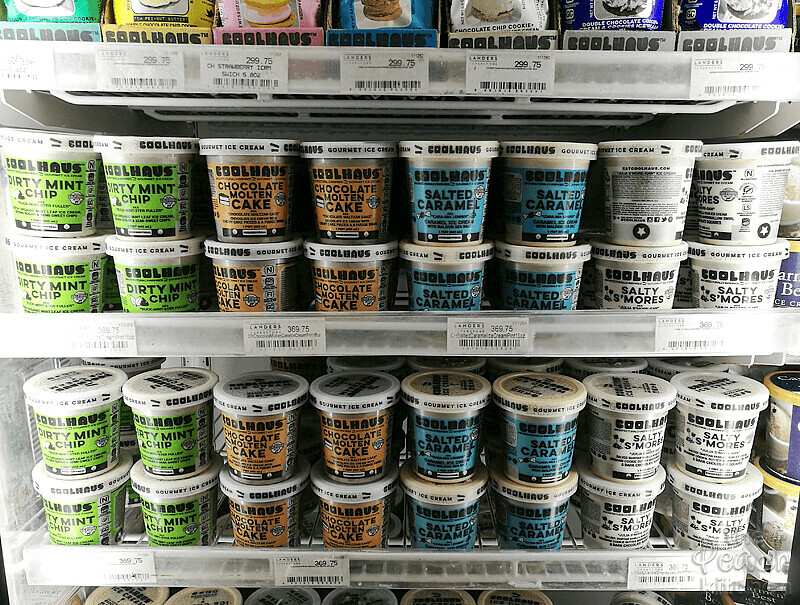 Our favorite CoolHaus Ice Cream flavor is Salted Caramel. 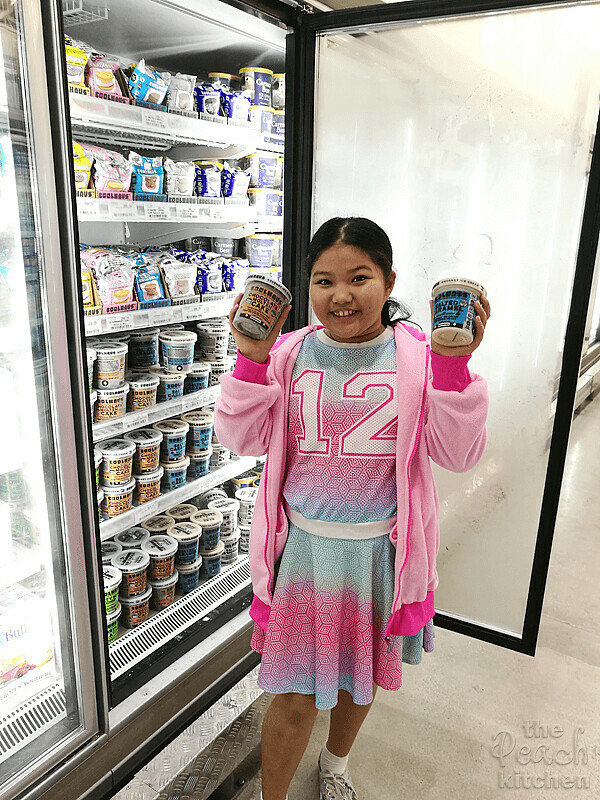 We love it because it’s super creamy and has that authentic, well-pronounced salted caramel flavor. It’s made with Real California Milk too! But this time we were there to try a different flavor. We chose Salty S’mores this time. 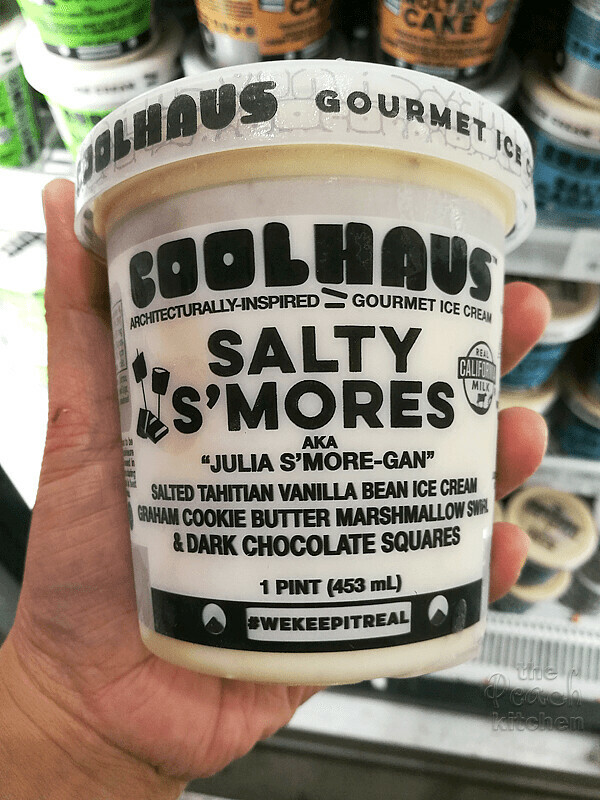 CoolHaus Salty S’mores is made up of Salted Tahitian Vanilla Bean Ice Cream, Graham Cookie Butter, Marshmallow Swirl and Dark Chocolate Swirl. As per it’s description, this California Ice Cream is already super dooper yummy, right? Well, we were drowning our sorrows so I gotta make this thing more indulgent that it already is. I decided to turn it into this S’mores Ice Cream Pie. We’re talking indulgent so I made an oreo crust and topped the pie with toasted large marshmallows to give that authentic S’mores taste! This pie could just be the answer you’re looking for to solve your problem, it could cool down your summer days, and satisfy your camper craving during rainy ones. Now we feel so much better and our tummies are happy too! To know more about California Ice Cream, drop by Real California Milk on Facebook. Make the Oreo Pie Crust: Preheat the oven to 350 º F.
Use a fork to mix everything together and then pour the mixture into the baking pan. Pour the California Ice Cream into the oreo pie crust. Smooth with a spatula. Freeze the pie for 3 hours or until the pie is completely solid. Cut the pie into slices and serve! Enjoy! To make the crushed oreo, use a food processor or put the oreo cookies in a Ziploc bag and smash with a rolling pin. The pie will keep in the freezer, covered with plastic wrap, for one week. Wow, this looks great! Very creative — and tasty. thanks! Oh, my this looks good and fattening! You had me at s’mores and then you said “ICE CREAM”! OMG!, that combo sounds so delicious!!! I’m adding this recipe to my recipe box. Thanks for sharing. Oh the “Rate this Recipe: button in the comments wouldn’t let me hit the 5th star but this definitely gets 5 stars. This might be the best frozen treat I’ve ever seen! I love S’Mores in ALL carnations, and I cannot wait to eat this! Om nom nom. OMG this looks and sounds amazing. I love anything smores. I bet my family would go nuts for this dessert. I haven’t seen this ice cream before. The smores ice cream pie sounds tasty but I’d really like to try that molten chocolate cake flavor out. 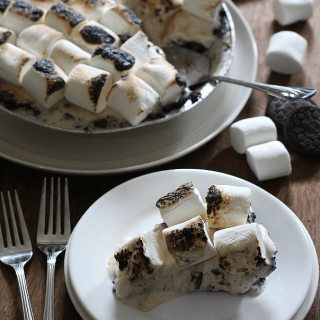 I love the flavor of s’mores and this ice cream pie looks amazingly decadent. 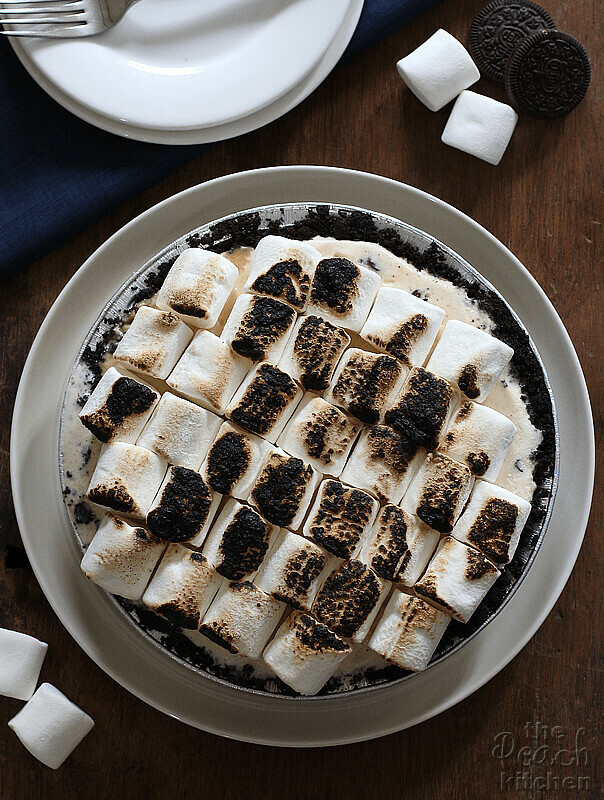 I love the charred marshmallows – reminds me of summer nights in the country. Can’t wait to try this recipe. Wow, those flavors look incredible! Why have I never heard of this brand or these awesome flavors! I’m sure your pie tastes great. I’ll have to see if I can get my hands on some of this ice cream. That looks like a great treat especially when it is hot outside. That is very creative. Ykaei is getting tall and pretty! What a great idea! 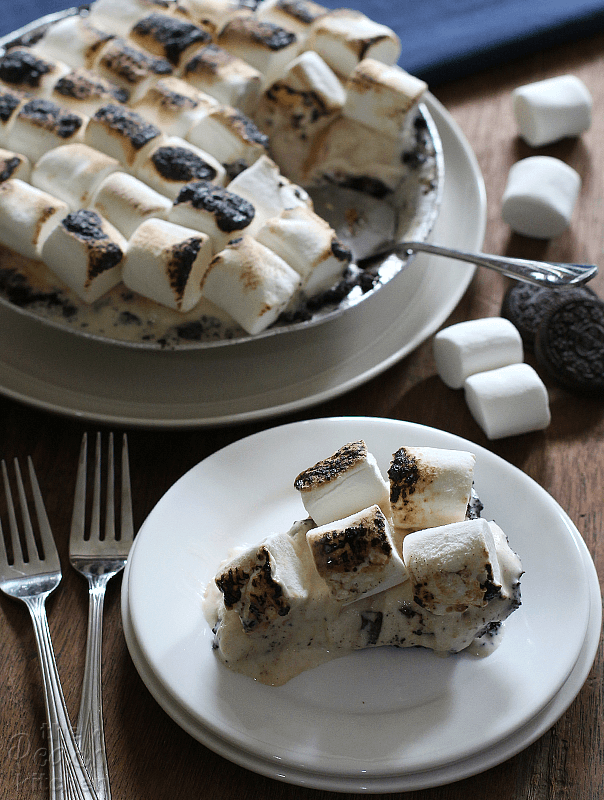 I love smores but never thought of combining the hot marshmallows with ice cream. A desert I’ll absolutely be keeping in mind for the future! I was curious how you were going to do the marshmallows with the pie but the torch on it would work. Or crushing some Oreos and sprinkling them on the top but it wouldn’t get that melty marshmallow taste. This looks fabulous. Smore’s and ice cream are me st to be together in one sweet heaven. Tempted to do the same. Wow, that looks so heavenly! I want to taste that so bad. Haha! I love all kinds of pies. But add marshmallow, Oreos and ice cream to it? Oh my goodness. Yummy! This is amazing! Wow what a great idea – I need to try this!! I LOVE s’mores so much, it’s my favorite thing ever! this looks good and amazing!